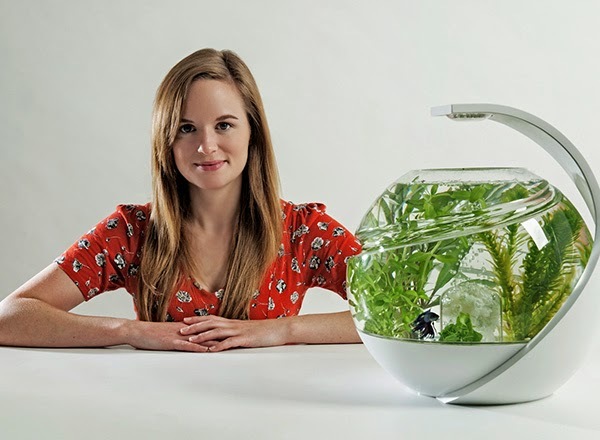 Young British designer Susan Shelley has just launched a Kickstarter project for 'the only fish tank that never needs cleaning, water changing or a new filter'. 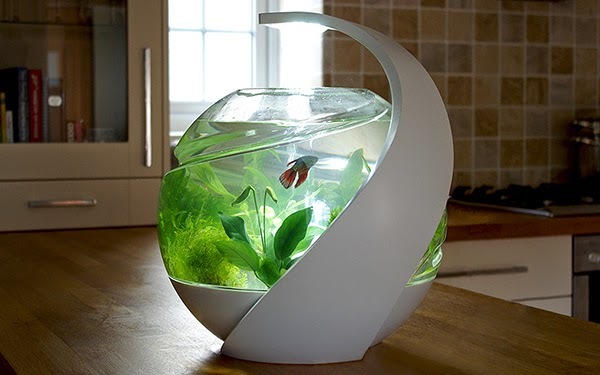 All you will ever need to do is top up the water and feed the fish. 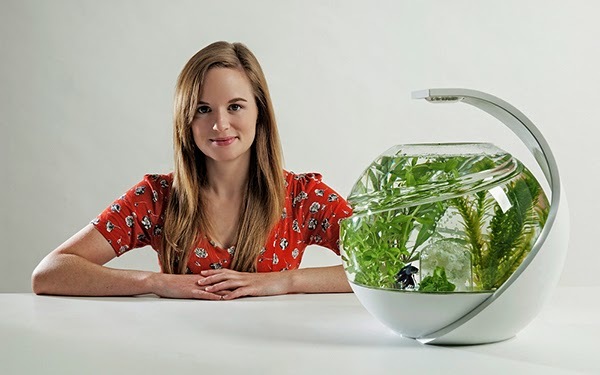 Suzy Shelley’s 15-litre fish tank Avo is packed full of innovative technology, enabling fish, plants and bacteria work together to create a balanced micro-ecosystem. 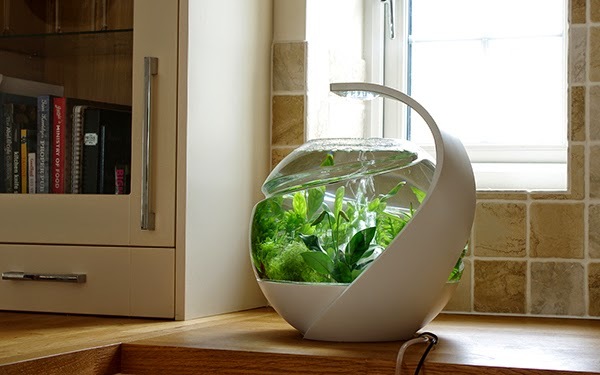 It has a self-cleaning filter that never needs replacing. 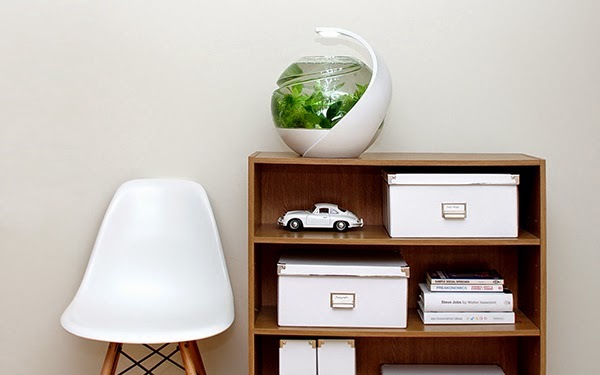 Avo’s continuously moving bed recycles older bacteria into plant food, creating space for new bacteria to grow. 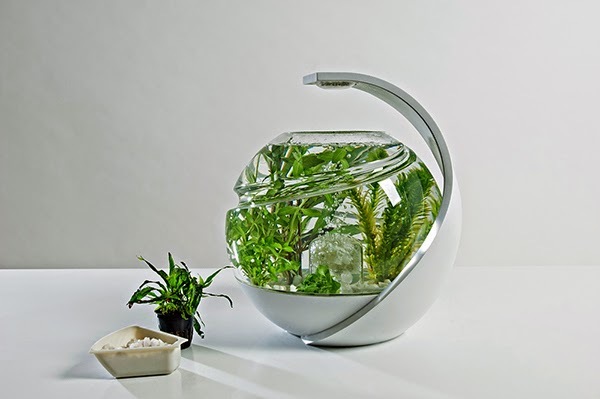 Harmful ammonia, nitrite and nitrate are naturally removed from the water. 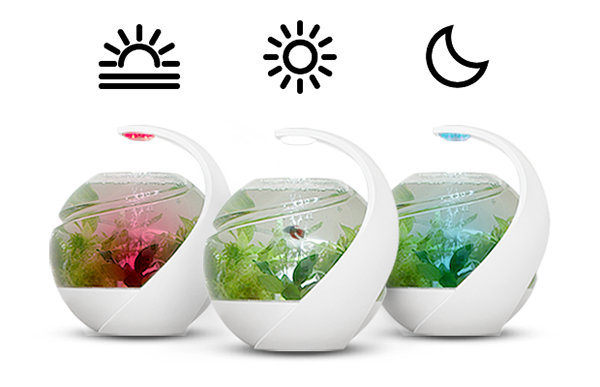 Avo also features automated LED lighting specifically optimized for plant photosynthesis and growth, which promotes clear and healthy water. 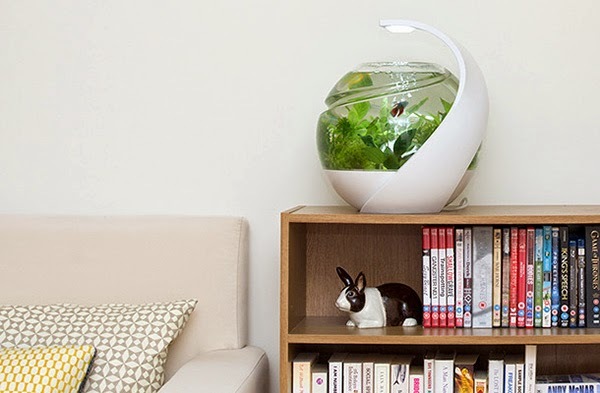 Avo’s unique lighting has the added aesthetic benefit of producing soft red light in the morning, fading to daylight white, to cool blue in the evening.